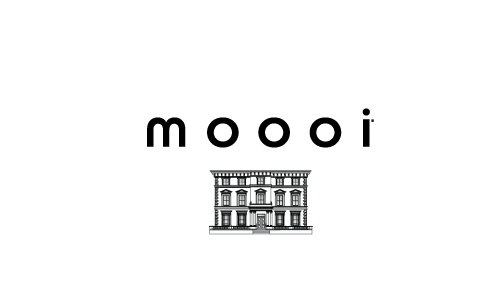 refreshing new designs and surprising experiences that will be revealed at Moooi London. inspiring settings to brighten up daily life with a touch of magic. The settings will be dressed and accessorised with an irresistible blend of exquisite richness, nurturing warmth and colourful playfulness. The living quarters will be furnished with items from the current collection & many new, exciting creations by Marcel Wanders, Studio Job, Joost van Bleiswijk, Neri & Hu, Moooi Works / Bart Schilder, Bertjan Pot, Raimond Puts, Lorenza Bozzoli and ZMIK (Mattias Mohr & Rolf Indermuhle). You are welcome to enjoy, amongst others, the artistic temperament and intimate nature of Marcel Wanders’ Canvas and Cloud sofas, and the sophisticated brightness of ZMIK’s Kroon chandelier. Take some time to walk around and study the highstream inventiveness of Joost van Bleiswijk’s Construction lamps, the pragmatic playfulness of Studio Job’s Bucket lamps and the graceful symbolism of Lorenza Bozzoli’s Juuyo lamps. Besides this, you are invited to admire the grandeur of the new Bart sofa collection by Moooi Works / Bart Schilder and the new Paper Patchwork & Paper RAL creations by Studio Job. The interior environments will be also decorated with an inspiring variety of patterns and colours that compliment all types of spaces and make people of different ages, cultures and personalities fall in love with their homes. Hans Boodt mannequins will make themselves at home, bringing an extra feeling of intimacy to the settings and resembling peoples’ personality, style & taste. Real and surreal at the same time! This presentation at Moooi London will also bring together photography of the multidisciplinary Dutch artist Levi van Veluw. Interior design meets artistic photography once again and they connect, creating the perfect balance between two inspiring, stylish and playful worlds. Van Veluw photographs suggest a narrative world behind the portraits. The portraits unfold stories and feelings on a large scale especially for this exhibition. Throughout the London Design Festival 2013 Moooi will team up with Tom Dixon, founders of The Dock, to create an international design hub and an emporium of hyperactive creativity during the Festival.